Can’t make it in on Saturdays to visit our Master Gardeners? Our onsite nursery professionals are an important resource for you to solve individual gardening challenges from pruning a tree to helping a stressed plant thrive. 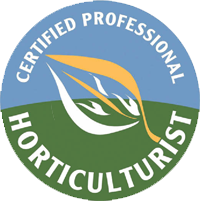 A CPH has the experience, price education and knowledge of horticulture, much like experts in other fields.